All student athletes are required to complete and submit certificates for either one of two League-approved firearm safety certification programs – a state-approved hunter education certificate or the League’s SAFE certificate. Teams should verify the firearm safety training certification requirements with the shooting range where they will be conducting League events. The SAFE Certification requires the completion of the online AND shooting range certification programs to earn the SAFE Certificate. Step 1: Complete the SAFE Online Certification program before the athlete registration deadline. 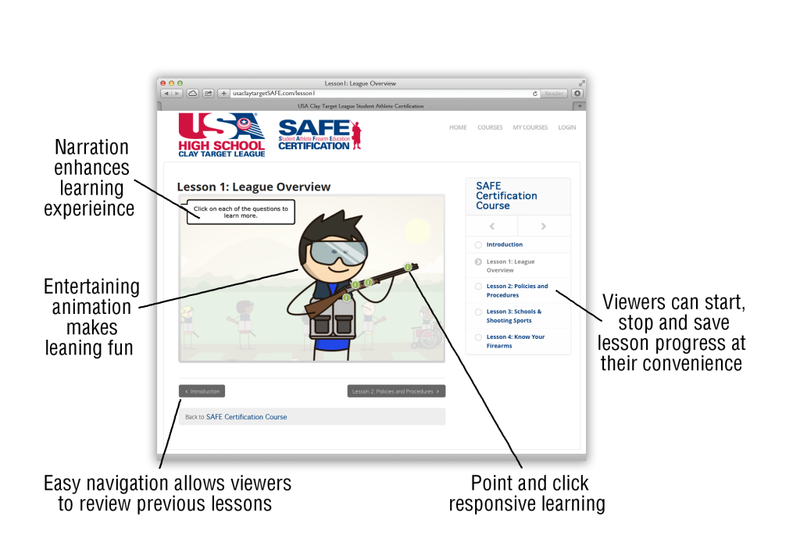 To access the SAFE Online Certification, go to www.usaclaytargetsafe.com and create an account. The SAFE course costs $25. Upon completion of the online course, the student athlete will receive a confirmation email and PDF certificate. Step 2: Complete the SAFE Range Day Certification before the Reserve Week begins. The SAFE Range Day Certification is conducted at the shooting range and coordinated by the team. Students will participate in a training session conducted by a CLASS Certified coach on the team. The 1-2 hour shooting range training will include firearm safety, shooting sport procedures, shooting at clay targets, and range safety requirements. The Instructors must have completed the League’s Coach Leadership And Safety Support (CLASS) Certification program. Instructors will be provided a SAFE Range Day Certification guide from the League to assist with certification. Step 3: Update SAFE Online and SAFE Range Day completion dates in ClayTargetGo! The SAFE Online and SAFE Range Day completion dates are required to be entered into AMS through ClayTargetGO! before the Reserve Week begins. AMS users can update and save the SAFE completion date in the student athlete’s profile in AMS. 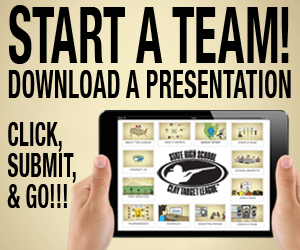 Head Coaches and team staff with access to the Team Management System (TMS) can view and update a student athlete’s completion dates. A student athlete that is missing a valid League-approved firearm safety certificate will be removed from the team’s roster when the Reserve Week begins. 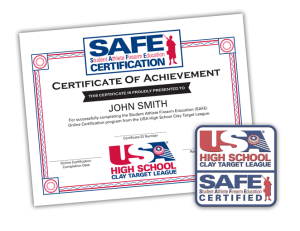 All student athletes that complete the SAFE Certification receive an official iron-on certificate patch from the USA High School Clay Target League. Patches are mailed to the team after the Reserve Week begins.